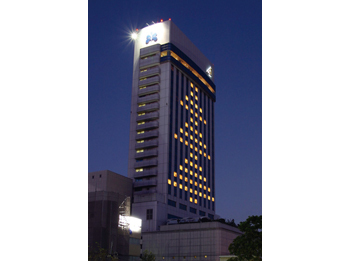 Hotel Nikko Kochi Asahi Royal commanding downtown Kochi City is one of the highest hotels (22nd stories) in Shikoku. 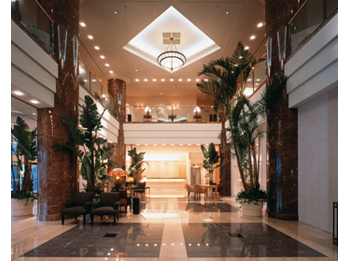 It is an executive class hotel standing on the waterfront equipped with a large banquet room with the capacity of 1,000 people. As we have Kochi Kuroshio Country Club in our group, a golf package tour is recommended. All the rooms are equipped with shower toilet and a phone jack for PC. 15 minutes by tram car from JR Kochi Station bound for Sanbashi-Dori and get off at Harimaya-bashi. 5 minutes by taxi from JR Kochi Station.